Mission: To be the leader of Great Lakes water safety and reduce the number of Great Lakes drownings through training, public preparedness, and public awareness. Vision: Everyone, nationwide and worldwide, is knowledgeable, engaged and proactive in water safety with an emphasis on the Great Lakes region. October 24, 2018 – Bob Pratt of the GLSRP will present “Mythbusters – Water Safety Edition” at the Great Lakes Water Safety Consortium Conference in Cleveland, OH. 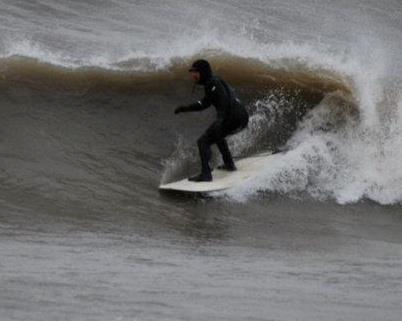 Bob Pratt retired from the East Lansing, Michigan fire department January 20, 2012 and is leading the Great Lakes Surf Rescue Project fulltime. For half of his 25 year career with the fire department, he was the fire marshal and the other half of his career he was a paramedic and firefighter. He also served as the lead trainer for the department’s water and ice rescue training. He has also taught water safety for several police and fire agencies in Michigan including Lansing Community College’s Police Academy. He has attended the Indiana River Rescue School and zodiac boat rescue training. Pratt has served on the Health and Safety Committee for the mid-Michigan Red Cross for 20 years. He is currently a Lifeguard, CPR and First Aid Instructor and serves as a subject matter expert for the media regarding drowning and water safety. 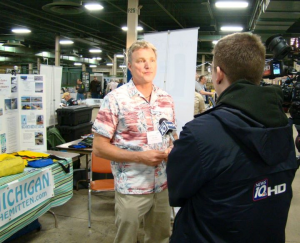 He has served as a lifeguard and water safety specialist for many aquatic events including several triathlons, open water swims in Lake Michigan, and the National Championship 10K swim in Harbor Springs. 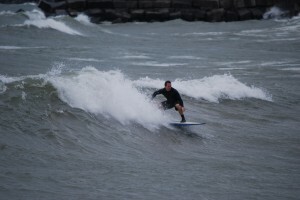 In 2007, Pratt founded the Great Lakes Surf Rescue Project in association with the Great Lakes Surfing Association (GLSA) and began training surfers in lifesaving techniques. The project also researched drowning; specifically rip current drowning on the Great Lakes. 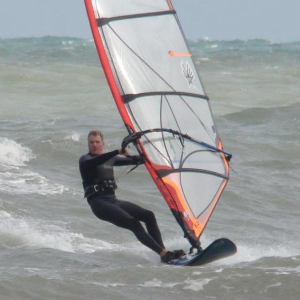 He has attended several rip current conferences including the 1st International Rip Current Symposium in Florida (2010). Pratt is a member of the National Drowning Prevention Alliance and has presented at its national symposiums. He is also a member of the Great Lakes Beach and Pier Safety Task Force and co-founder of the “Third Coast Ocean Force” rip current awareness campaign. Mr. Pratt lives in East Lansing Michigan with his wife Cynthia, their two children, Jake and Corrine, and his Jack Russell Terrier “Buzzy”. 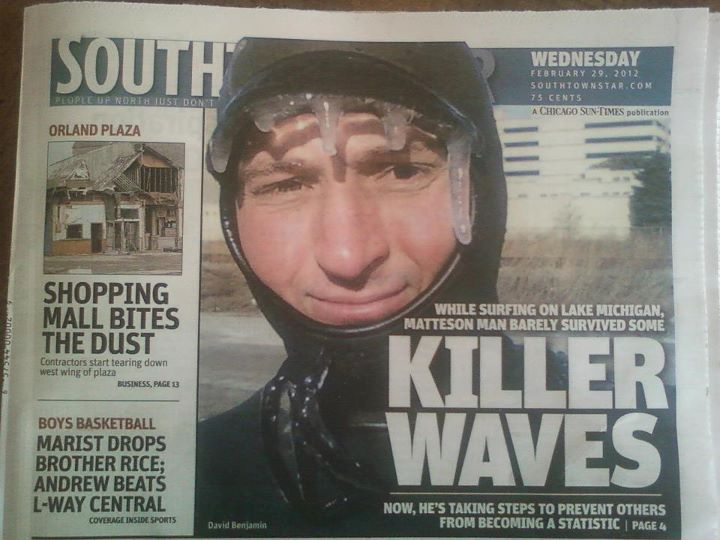 Dave’s nonfatal drowning accident (media feature story) was his inspiration to get involved with the Great Lakes Surf Rescue Project. He is a project manager, public relations specialist, and technical writer with degrees from Eastern Illinois University in English, Professional Writing, Creative Writing, and Business Administration. He is also a Great Lakes surfer and a philanthropist interested in making a difference in people’s lives. In addition to participating in the Great Lakes Surf Rescue Project, he created the Rich East “Multi-Class Reunion” and “Rockets Reaching Out” fundraiser. With the mission, “Friends for LIFE!” the “Multi-Class Reunion” was created to reunite graduates and friends of ALL classes through bi-annual reunions. The “Rockets Reaching Out” fundraiser component of the Multi-Class Reunion was added because alumni are a community that makes a difference with its classmates. The benefits of the fundraisers are awarded to a Rich East alumnus or family member of a Rich East alumnus to help offset medical costs due to illness or injury. Recipients included a heart transplant fundraiser, esophagus cancer fundraiser, and bacterial meningitis fundraiser.